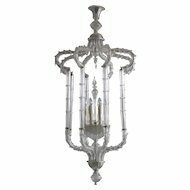 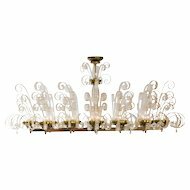 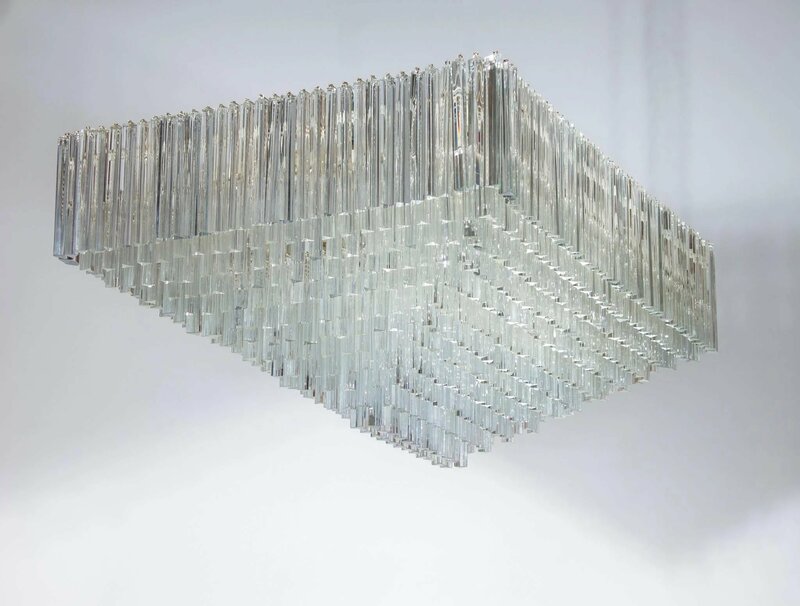 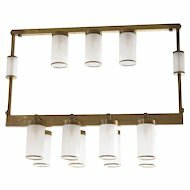 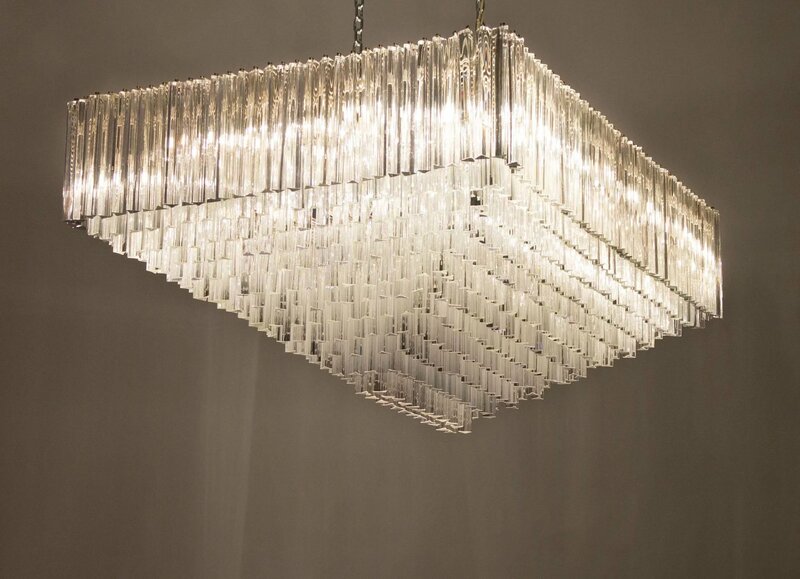 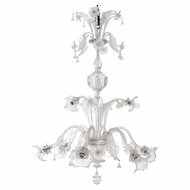 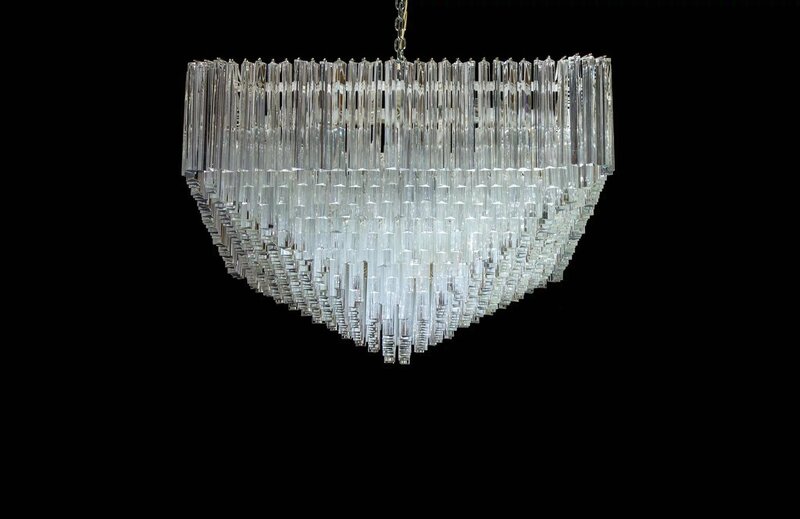 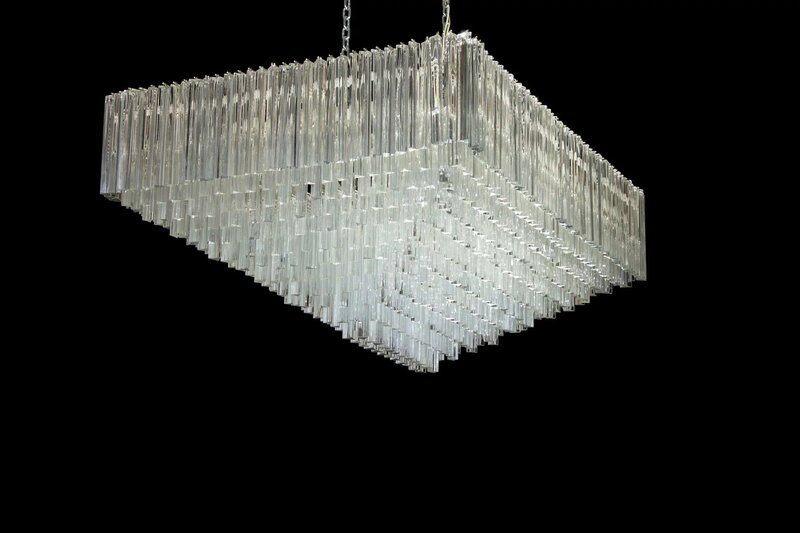 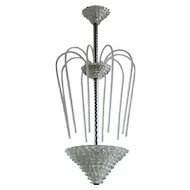 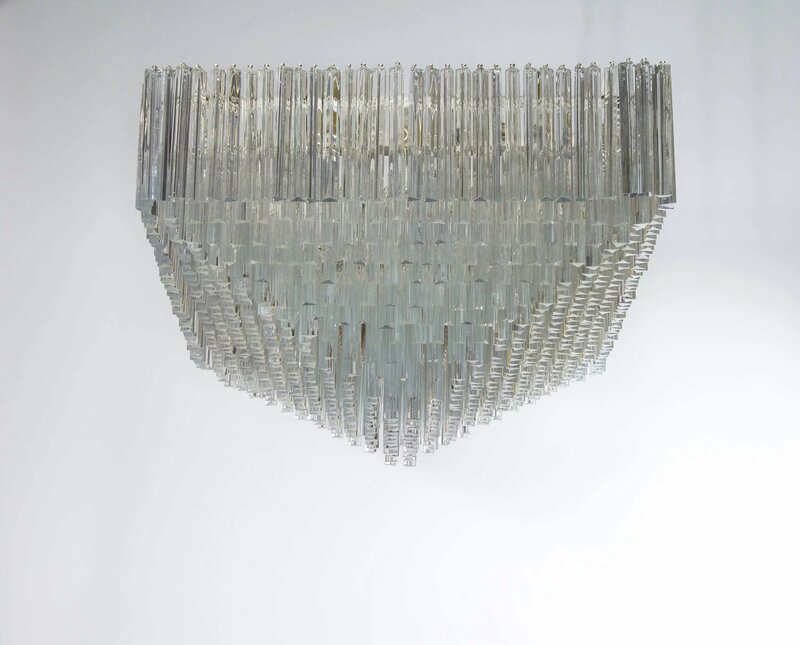 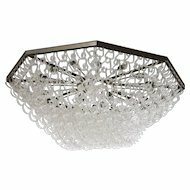 Amazing Italian Murano chandelier in excellent original condition attributed to Venini, circa 1960s, in a beautiful rectangular shape composed from transparent Triedro elements in glass, with an original white vintage frame with little points of rust as seen in the photo. 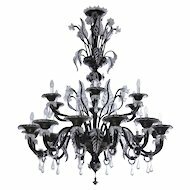 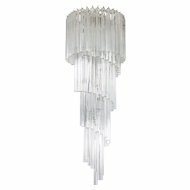 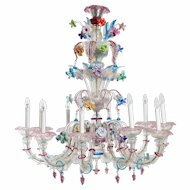 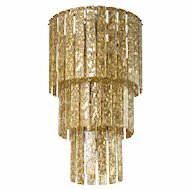 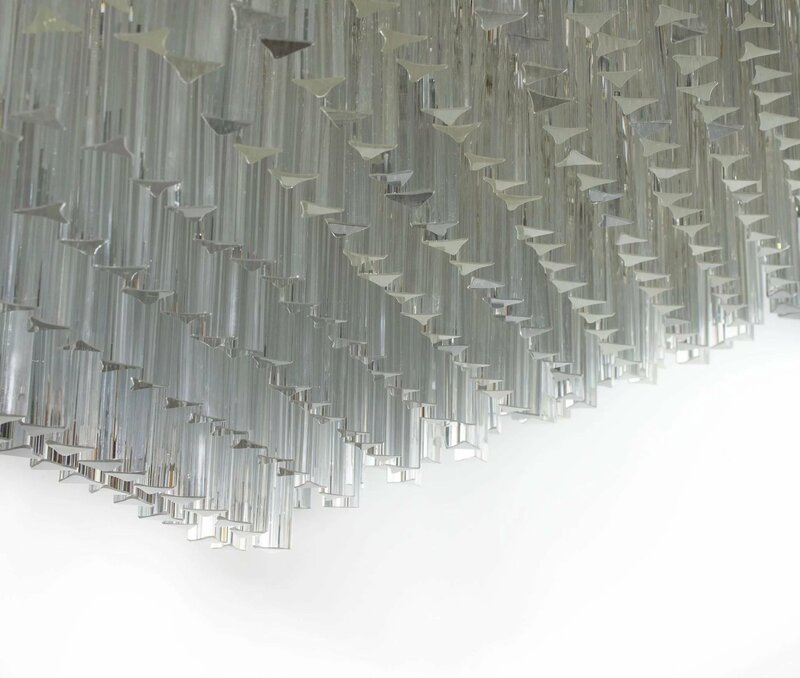 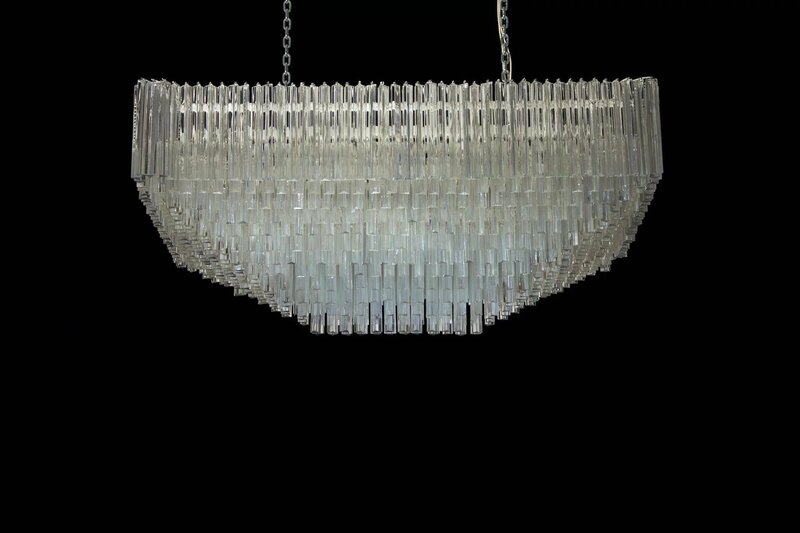 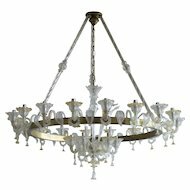 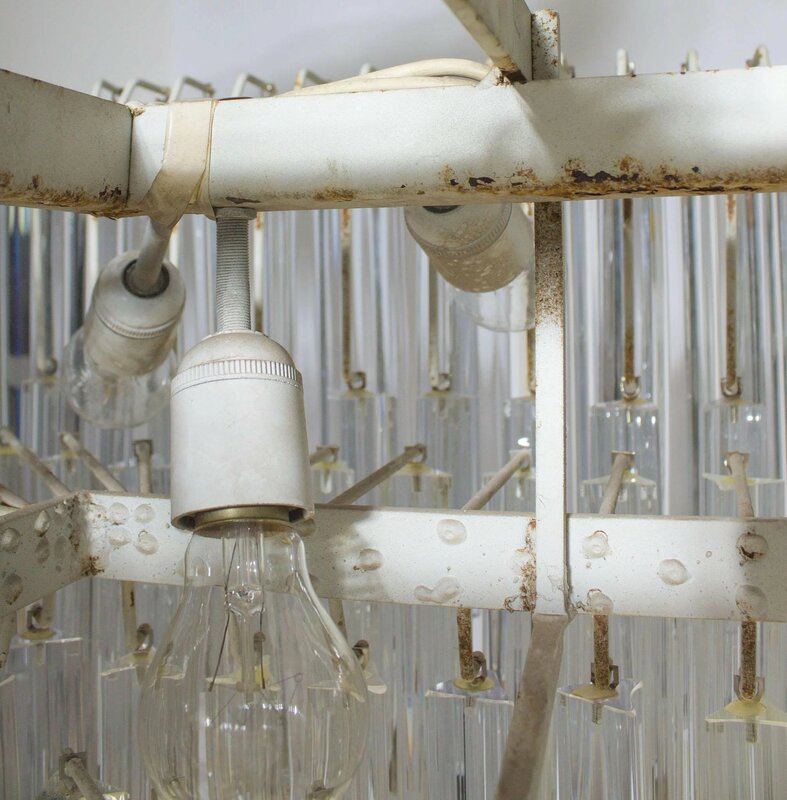 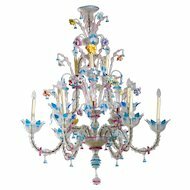 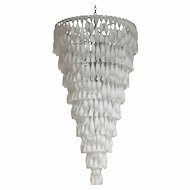 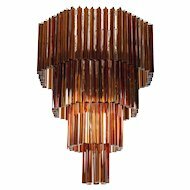 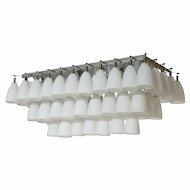 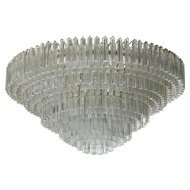 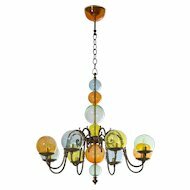 The chandelier is 28 inches high, 44 inches deep by 61 inches wide, and has 31 lights. 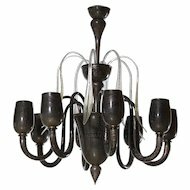 We can professionally rewire this item to your country's specifications.